Baaghi 3: Tiger Shroff and Shraddha Kapoor To Recreate 'Cham Cham' Song From Previous Installment and We Have Mixed Emotions! The makers are just hell-bent on not listening to the audience and are churning out the remakes like there are no music composers into existence. So, the latest goss is that the makers of Tiger Shroff-Shraddha Kapoor's Baaghi 3, are keen on inserting a rehash of the song from their own franchise. The much popular dance track in rain namely "Cham Cham" in Baaghi is getting recreated, according to Mumbai Mirror. Baaghi 3: Not Actress, Tiger Shroff Is Wondering About Which Art Form to Use in Franchise’s Third Film. 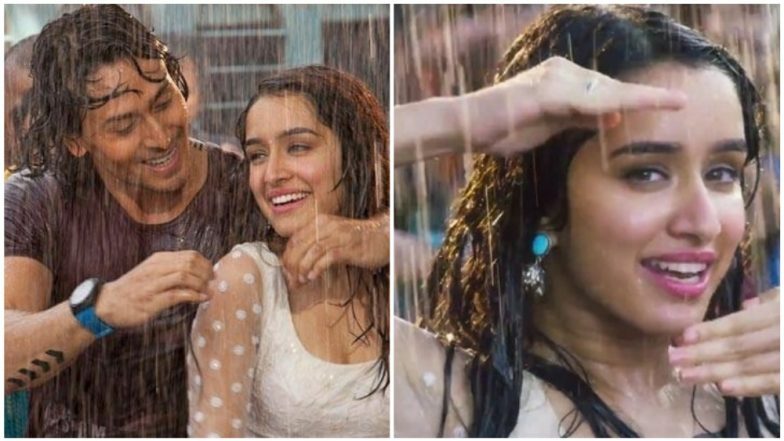 The song was a chartbuster with Tiger's swift moves and Shraddha's adorable performance in this song, getting all drenched. In fact, it is still into the playlists of many of his fans, when it comes to listening to rain tracks. However, for some reason, owing to the popularity of the song, the filmmakers decided to get the same exact song in this film as well as per the source close to the development. How is exactly going to be different than the original one, we are really eager to see now! While we were all enthusiastic about Shraddha and Tiger's chemistry, we hope that all the other tracks are original. Meanwhile, this Ahmed Khan directorial is going to be one roller coaster ride with loads of action filled in. The sequences will be shot extensively in locations such as Syria and Iraq. The filmmaker was quoted saying, "Along with the big action pieces, Baaghi series also has an emotional story at its centre. I am going to finish the dramatic scenes first and then get into the action as that may take time. We will start sometime mid-next year." We are super excited about this instalment but we hope that the classic "Cham Cham" memories are not ruined for us. Fingers crossed!